Lourdes Necklace, Virgin Mary Necklace and Solid Silver Rosary Beads. Virgin Mary Necklaces and sterling silver rosary necklace all depicting the apparitions and apparition necklaces depicting Our Lady of Lourdes, on the reverse. 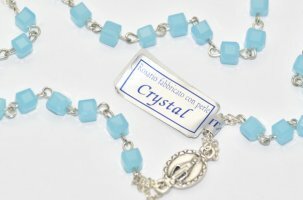 Crystal Miraculous Aqua Rosary Necklace. 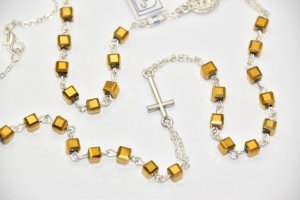 Crystal Miraculous Topaz Rosary Necklace. 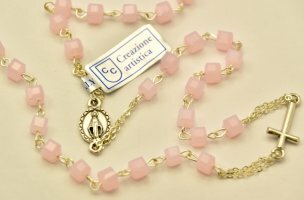 Crystal Miraculous Rose Rosary Necklace. 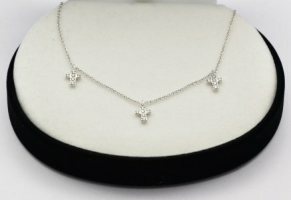 Sterling Silver Cross Necklace with Cubic Zirconia Stones. 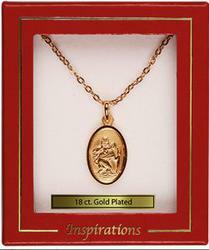 Gold Our Lady of Lourdes Necklace with Scalloped Edges. Gold Apparition Necklace Cubic Zirconia Stones. 925 Sterling Silver Our Lady of Lourdes Necklace. 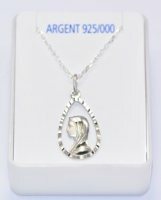 Lourdes Apparition Necklace - 925 Sterling Silver. Lourdes Gold Teardrop Rosary Necklace. 925 Sterling Silver Lourdes Necklace. 925 Sterling Silver Lourdes Scroll Necklace. 925 Sterling Silver Lourdes Rosary Necklace. 925 French Sterling Silver Large Miraculous Medal Necklace. Stunning Gold Plated Cubic Zirconia Cross Necklace. 925 Sterling Silver Crucifix Necklace. Men's 925 Sterling Silver Cross Necklace. Men's Gold Plated Cross Necklace. 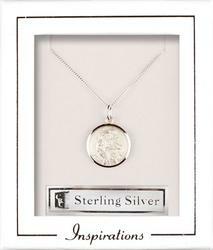 925 Sterling Silver St. Christopher Necklace.